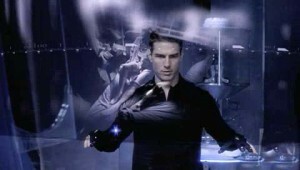 Remember the movie Minority Report? Yeah, that was a pretty cool movie, but we all know that it’s “just” science fiction. There is no way that it can happen in real life, right? We continually scan thousands of news publications, blogs, niche sources, trade publications, government web sites, financial databases and more. We extract information from text including entities, events, and the time that these events occur. We also measure momentum for each item in our index, as well as sentiment. You can explore the past, present and predicted future of almost anything. Powerful visualization tools allow you to quickly see temporal patterns, or link networks of related information. In short, the company monitors the information that can be found online – as much of it as they possibly can – using what they call a temporal analytics engine. How is this different from what Google and other search engines do now? The key is in the linking of information. What the temporal analytics engine does is to find patterns and relationships amongst documents, web sites, files, etc. Related names, entities, and events will be connected via the engine, and people can analyze the data and connections to somehow piece that past together or even predict the future. Naturally, the project – and the entities involved – has drawn various reactions. There are those that are quite excited about the possibilities, and there are those who are afraid of the potential dangers this kind of technology brings. Personally, I think that the dangers are definitely there, but that we really can’t stop the CIA from engaging in this kind of activity. We do need control and transparency, and we can only hope that it will be so. You?